Granit Xhaka is enjoying a very good period at Arsenal, and that culminated in a successful display against Liverpool at the weekend. The midfielder has an important role under Unai Emery and looks to be one of those who has kicked on since the departure of Arsene Wenger. There’s less yellow cards at the moment too. Whilst Xhaka has picked up four bookings in the Premier League so far this season, the last of those came against Cardiff City on September 2nd. 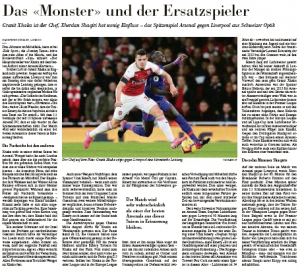 Swiss newspaper Neue Zurcher Zeitung have taken a look at the situation, and they suggest Xhaka faced unfair criticism in the English media for his sometimes rash tackles. 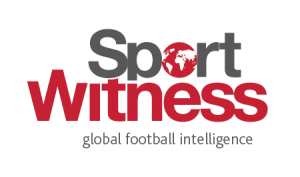 Whereas Jack Wilshere and Aaron Ramsey were forgiven much because they ‘enjoy great popularity in their homeland’, it’s explained Xhaka had it much more difficult. One man who understands what the actual issue may have been is fellow Swiss Gaetano Berardi. The Leeds United player ‘understands the problem’ faced by Xhaka, reports Neue Zurcher Zeitung. Berardi joined Leeds in 2014 from Sampdoria and immediately faced the challenge of rising to the physicality of English football without going over the line. Maybe Berardi, currently out injured, hasn’t quite found the right balance. Before his recent layoff, the 30 year old picked up three yellow cards in his last four Leeds United matches.